The Finance Act 2015 added two new sections, 33C and 33D, to the VAT Act 1994 with effect from 1 April 2015, enabling the refund of VAT relating to non-business activities carried out by search and rescue charities, air ambulances and medical courier charities. See HMRC VAT Notice 1001: VAT refunds for certain charities for further detail about these specific provisions. This change in policy brings the level of VAT recovery of search and rescue charities broadly in line with the treatment of established emergency services carrying out statutory non-business activities. Those whose main purpose is to carry out coordinated search and rescue of persons who are, or may be, at risk of death or serious injury. Such charities include sea/shoreline rescue teams, mountain rescue teams, cave rescue teams, lowland search and rescue teams and rescue dog teams. The bodies co-ordinating search and rescue of persons are listed in section 33D of the VAT Act 1994. 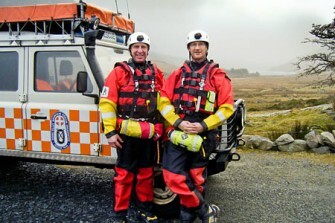 Those whose main purpose is to support, develop and promote the first type of search and rescue charities. VAT can now be refunded on the purchase of goods and services, and the acquisition and importation of goods from outside the UK, used for non-business activities. Those whose main purpose is to provide services for the urgent transportation of items of a medical nature, for example blood, platelets, samples for analysis, drugs, patient notes, small medical instruments, donor breast milk and other medical supplies. Those whose main purpose is to support, develop and promote the first type of medical courier charities. This will mainly cover ‘blood bike’ charities.